GOOD PEOPLE ARE THE BUILDING BLOCKS FOR GREAT BUSINESSES! I am convinced you must have good people around you in order to accomplish great things in business and life, however good people are not always fully equipped for the task. Thats where I come in – My passion is to lead, mentor and advise good people, allowing them to achieve their goals and dreams through great businesses. I have had a vibrant career spanning over 30 years in the business, technology and sales sectors. I have been a startup team member, founder, leader and key contributor to several highly successful, high growth Silicon Valley startups. I have been fortunate enough to have had influential roles in numerous worldwide groundbreaking technology releases, including computer software, internet services, digital photography, and cell phones. I have set up international operations for several market-leading corporations in Germany, Italy, France and Ireland and also acted as an adviser and liaison for International Government Agencies in some of these countries. Through my diverse experiences I have maintained dedication to my ethics and integrity, as well as my love of teaching, mentoring and leadership. I have developed a very strong passion for Silicon Valley enterprises, especially the concept of local businesses supporting their local communities and the communities supporting their local business. I am currently interested in fostering healthy local business activity through Slingshot SV, as well as my involvement as a board member and founder of several local non-profit organizations, including Think Local Santa Cruz. 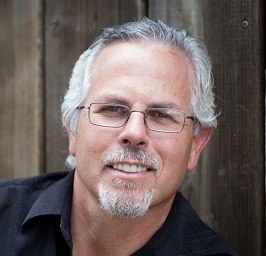 To learn more about Andy, check out his full Bio at www.linkedin.com/in/avanvaler.